Everybody loves to round off and recapitulate the year. That’s why we revisit the most read, most commented and loved articles and podcast episodes of 2015. The True Cost of Fashion – Interview with Andrew Morgan The True Cost of Fashion is a global documentary that explores the fashion industry. We speak with director Andrew Morgan about the inspiration and the making of the film. Social Media Growth A Step by Step Workbook you’ll learn the fundamentals of listening to social media conversations in order to generate new leads for your green business growth plan. 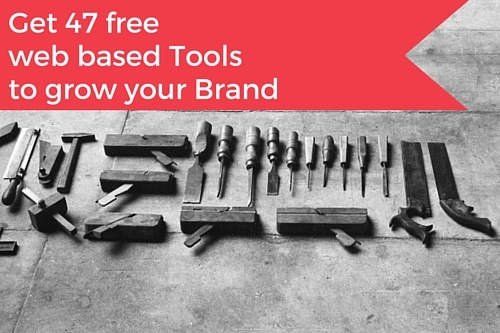 47 best free web based Tools to grow your Brand You get the Tools we use to get it all done and reach Green Business Growth.You can’t buy our FREE Toolbox.There is only one way to get it. By subscribing to our free Email Newsletter. The Green Company Growth Check is a self-diagnostic assessment test that helps you to understand where your company is standing at the company lifecycle so that you’ll be able to plan your next steps to get to the next level.